Guatemala City - Guatemalan President Jimmy Morales ordered his country's embassy in Israel to move to Jerusalem. This decision was made after the president met with Israeli Prime Minister Benjamin Netanyahu. BBC News reported, Morales had instructed to coordinate before moving his country's embassy from Tel Aviv to Jerusalem. 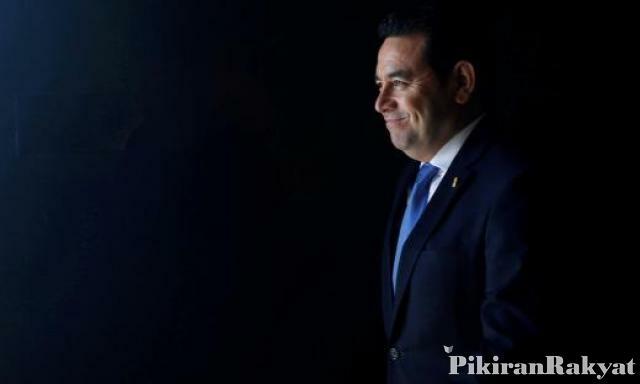 Morales also said, Guatemala is an old ally of Israel. In response to this policy, Israel praised Morales' decision. "I congratulate my friend (Morales) for her daring decision to move the state embassy in Israel to Jerusalem," Israeli Parliament Spokesman Yuli Edelstein wrote on Twitter. Edelstein added that this policy proves Guatemala and Morales are Israel's true friends. Israeli Justice Minister Ayelet Shaked also thanked Morales for this policy. He believes other countries will follow this bold step. However, Reuters reported, the policy does not yet have a definite date and will only be implemented after the US moves its embassy to Jerusalem. According to US officials, the move could take up to two years. As reported by BBC News, there are only nine countries that oppose the United Nations (UN) resolution to cancel or withdraw any policy or status of Jerusalem. Countries that opposed the UN General Assembly on Thursday were the United States (US), Israel, Guatemala, Honduras, Togo, Palau, Nauru, Marshall Islands, and Micronesia. While 35 other countries, such as Canada and Mexico chose to abstain. While 128 countries support the UN resolution. The US itself is an important aid contributor to Guatemala. Prior to the UN General Assembly's hearing, Trump threatened that he would save on foreign financial aid to the countries that supported the UN resolution. 0 Response to "Guatemala will move its embassy to Jerusalem"